I think my days are over with him sitting still for a picture. All the pictures I get of him now are blurry. And tomorrow will be my last post of the year because I’m going off the grid until January of 2012. No blogging or social media but I’ll post about that tomorrow. Love the new designs! So very cute. Total cuteness! 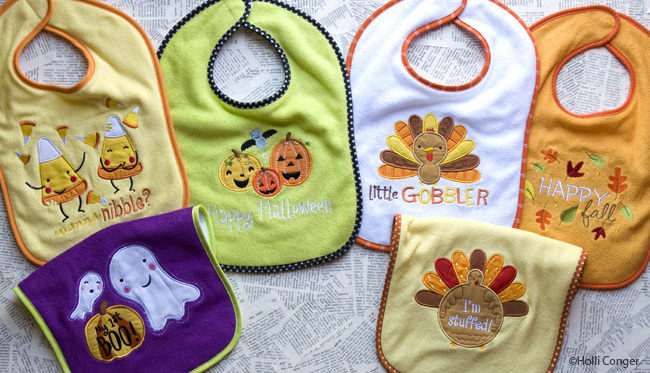 And I mean the bibs and the baby. Off the grid? You’re cutting me off? Wow! Those are sweet. The bibs AND the lil’ man. I am interested in your post tomorrow. And impressed. I will miss keeping up to date with you but also think time away from social media could do us ALL a little good.